Synonyme: Gynandiris sisyrinchium; Gynandriris sisyrinchium; Iris sisyrinchium; Iris sisyrinchium f. alba; Iris sisyrinchium f. caerulea; Gynandriris sisyrinchium (L.) Parl. ; Gynandriris numidica Jord. ; Iris sisyrinchium f. violacea; Gynandriris maricoides (Regel) Nevski; Iris sisyrinchium var. major; Gynandriris littorea Jord. ; Iris sisyrinchium var. minor; Iris sisyrinchium var. syrtica; Iris sisyrinchium var. purpurea; Iris sisyrinchium var. marmarica, Iris sisyrinchium f. purpureoviolacea; Iris sisyrinchium f. rosea; Iris sisyrinchium subsp. fugax; Helixyra sisyrinchium (L.) N.E.Br. ; Iris fugax Ten. ; Moraea sicula Tod. ; Evansia syrtica (Viv.) Klatt; Xiphion sisyrinchium (L.) Baker; Iris maculata Tod. ex Lojac. ; Iris collina Salisb. ; Iris zelantea Parl. 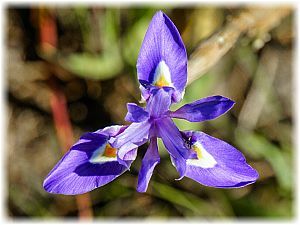 ; Iris libyca Mattei; Sisyrinchium majus R.M.Redhead; Moraea tenoreana Sweet; Iris sisyrinchium L.; Iris syrtica Viv. 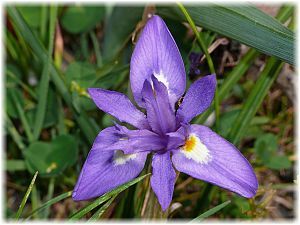 ; Iris involuta Garzia; Iris aegyptia Delile; Diaphane edulis Salisb. 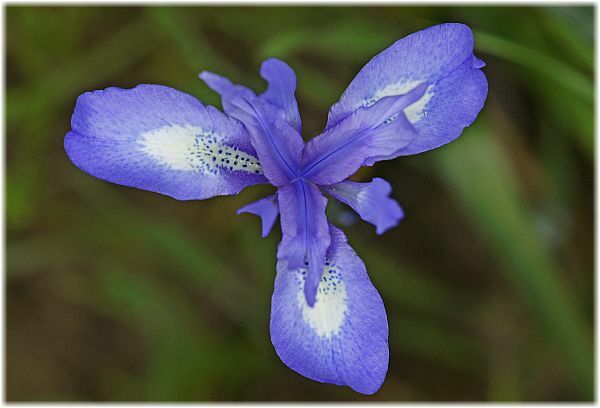 ; Iris maricoides Regel; Iris todaroana Cif. & Giacom. 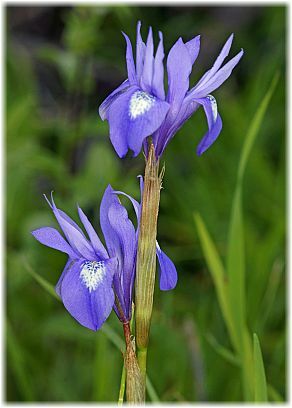 ex S.Pignatti; Iris samaritanii Heldr.